Sensi #119 auto (Blueberry x Skunk #1 Auto) – stress-relieving effects and stress-free cultivation! Robust and fruity. SENSI #119 AUTO is a fusion of two old-school favourites, with the added benefit of being autoflowering. Both Blueberry and our own Skunk #1 are considered milestones on the timeline of indoor cannabis cultivation. This hybrid is potentially one of the easiest to grow from seed and promises to help you reap the rewards of outstanding genetics. Beginner growers can achieve great results from SENSI #119 AUTO! Our tests show high levels of THC and low levels of CBD. It can flourish outdoors in cold climates, thanks to a short flowering time and indica growth patterns. As an autoflowering strain, the yields are rewarding for the amount of care and attention required. The effects are clearly indica also, dissolving tension and promoting feelings of well-being and relaxation. The Sensi #119 auto strain has large proportion of Indica genes in its background. Sensi #119 auto will need an average flowering time to reach their full potential. Sensi #119 auto will have relatively small height gain during the flowering phase. 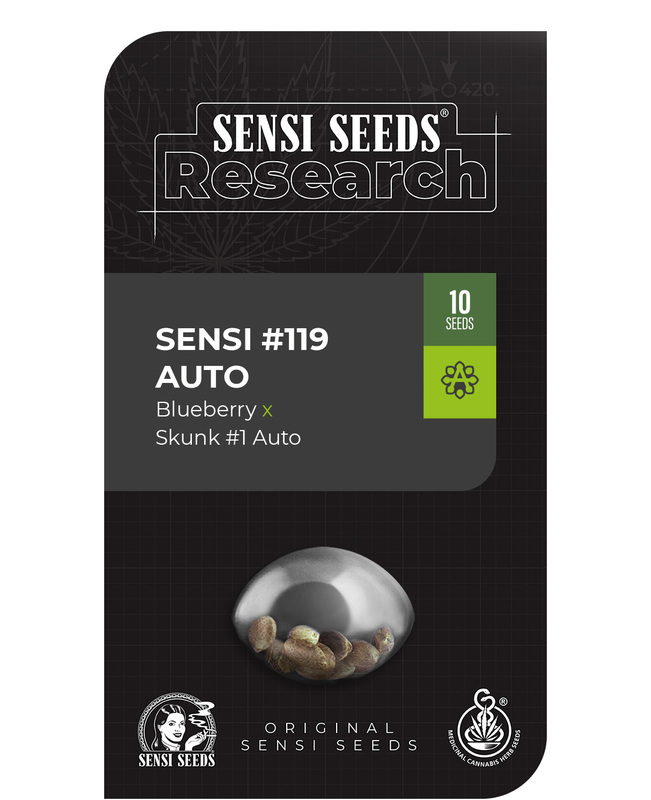 Sensi #119 Auto Seeds is added to your shoppingcart! Sensi #119 Auto Seeds is added to your wishlist!